We learned on this trip that the day after Thanksgiving is a great day for air travel. Everyone is probably either shopping or sleeping off the gorging from the previous day. Either way, the airport was all but empty. 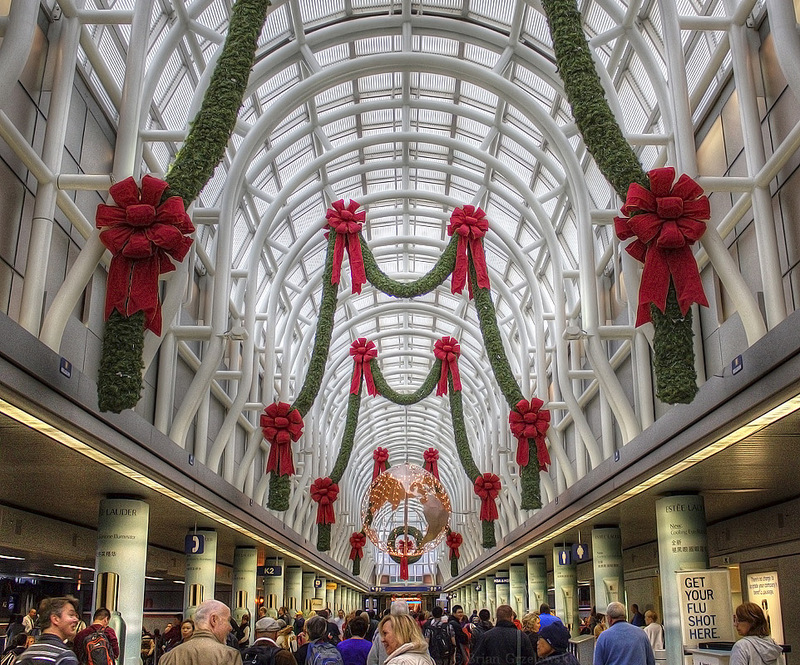 Passing through Chicago’s O’Hare airport, I enjoyed the patterns of the sunlit hall mixed with the holiday decorations they’ve added. This was taken on the busy day we traveled before Thanksgiving. Despite it being quite busy, everything moved along smoothly.